Anger and accusations continue to swirl around New Jersey Governor Chris Christie's #Bridgegate scandal, with the chairman of the New Jersey legislative panel investigating the bridge lane closures calling the operation a politically motivated "cover-up" that clearly broke the law. Democratic assemblyman John Wisniewski, who chairs his legislative body's Transportation Committee, told journalists on Saturday that, although admittedly no evidence has yet to come up directly linking the beleaguered governor to the lane closures, it was highly incredible that he was ignorant of the operation. "Using the George Washington Bridge, a public resource, to exact a political vendetta, is a crime," Wisniewski told NBC News. "Having people use their official position to have a political game is a crime. So if those tie back to the governor in any way, it clearly becomes an impeachable offense." "It's hard to really accept the governor's statement that he knew nothing until the other morning," Wisnieswki added. Adding to Christie's apparent lack of credibility is the fact that not all documents have been handed over to the investigative committee, forcing Wisniewski into making a formal request Monday for any and all correspondence relating to the bridge scandal. "Our investigation would be made immeasurably simpler if the governor's office would say, 'Please tell us what you'd like, we'll turn over all of those documents, the governmental emails, the personal emails, the correspondence, so that you can look at them and determine for yourself,'" Wisniewski told CNN. "If the governor really meant what he said, that he wants to get to the bottom of it ... it would only be fair for him to make those documents available." "There's still a lot of documents we haven't gotten we'd like to see," he added. On Friday, the investigative committee released over 2,000 pages of damning evidence showing that Christie’s top two Port Authority aides kept the George Washington Bridge block going for three days even after they were told about the potentially life-threatening risk. One particular exchange, between a now-fired top aide, Bridget Kelly, and Port Authority executive David Wildstein, seemed to suggest a House-of-Cards-esque political game was being played. "Time for some traffic problems in Fort Lee," Kelly wrote in an email to Wildstein. "Got it," Wildstein replied. Why? Revenge against the neighboring Fort Lee mayor who didn't endorse Christie in his gubernatorial campaign last November, or so it is thought. "I do think laws have been broken," said Wisniewsk. "Public resources — the bridge, police officers — all were used for a political purpose, for some type of retribution, and that violates the law." Assembly Speaker-elect Vincent Prieto echoed the sentiment, saying on Saturday: "The documents released this week related to the George Washington Bridge situation clearly show the need for a continued thorough investigation by the New Jersey General Assembly. Many questions remain unanswered about this threat to public safety and abuse of power." Prieto added that he was expecting to call a special session on Thursday to demand legislation that would reauthorize subpoena power. 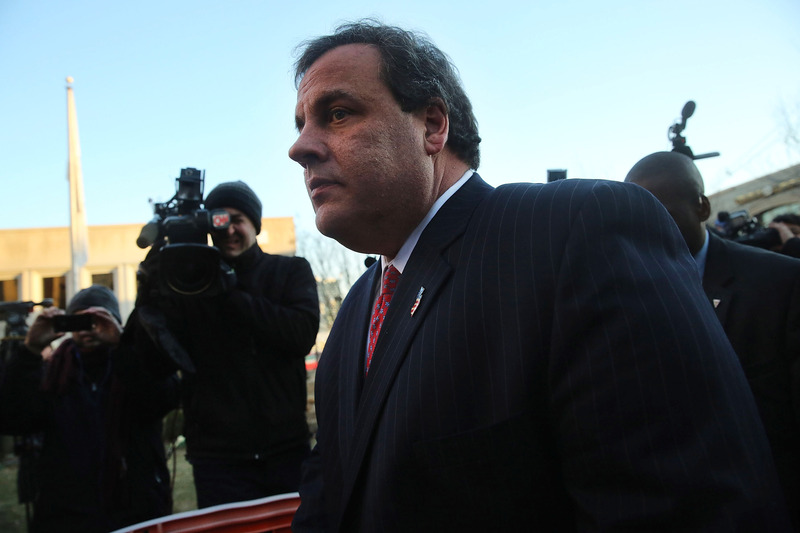 Christie, a 2016 presidential hopeful, has been adamantly (and emotionally) denying involvement in the scandal since the story broke — but his denials are quickly becoming less and less convincing.